Many were hospitalised in critical condition, with the prime example being a male patient from the northeastern city of Hai Phong who was making homemade fireworks when the chemical substances exploded two days prior to New Year’s day. Do Van T., 25 years old, lost both his hands and suffered severe injuries to the jaw, widespread burns and trauma to the chest area, several shallow wounds on both of his legs, in addition to critical blood loss. In the capital city of Hanoi however, the municipal health department recorded no firework incidents during the entire length of the holiday. HCM City’s hospitals, on the other hand, received a total of 21 cases in the first six days of the Tet holiday, with New Year’s Eve being the day with highest number of emergencies. 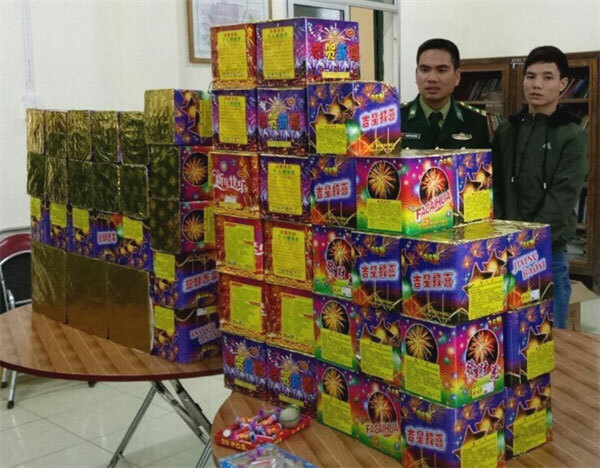 On the first day of the Lunar New Year, police of the Ky Anh Township in the central province of Ha Tinh arrested and fined 50 people for lighting firecrackers, followed by another 45 arrests in Nghi Xuan District. In 1994, Vietnam’s Government issued a country-wide ban on the use, production, purchase and storage of firecrackers during Tet, one of the long-standing traditions. However, despite annual crackdowns and increased efforts to discourage the practice, firecrackers still streamed into Vietnam via illegal routes (mostly smuggled from China where firecrackers are still largely legal, except in urban areas) and remained quite popular in rural and mountainous areas. The majority of the cases, 817 out of 3,281, were related to alcohol poisoning, a serious concern in Vietnam as ‘fake wine’ using highly toxic but cheap methanol instead of the safer ethanol is rampant. Tet brawls declined compared to last year, with a total of 5,303 requiring emergency treatment due to violence, resulting in more than half of them having to remain in hospital for days while 15 were killed, the Medical Services Administration said.